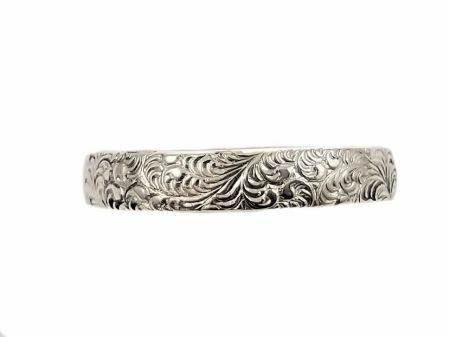 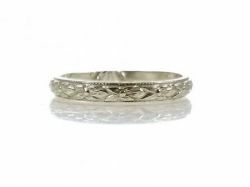 Description: An antique style 3.5mm band with a continuous embossed foliate pattern in sterling silver. 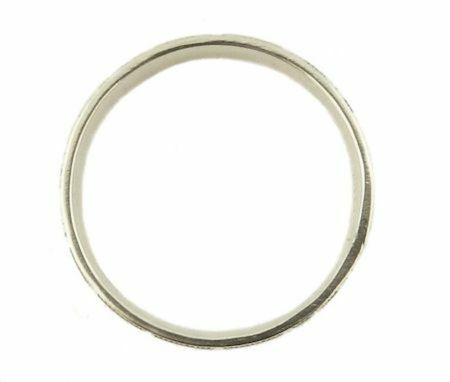 This band is slightly domed on the top and inner surface for a low profile comfortable fit. 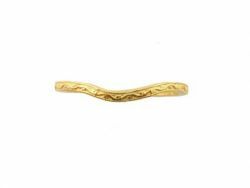 It is perfect to wear as a stacking band, an every day ring or worn as a wedding band. 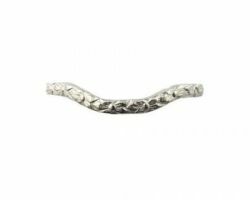 They are not mass produced but are manufactured to order with patterned stock wire from antique roller wheel dies. 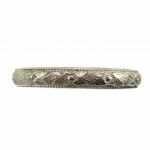 The bands are made to appear just like their authentic counterparts did a century ago. 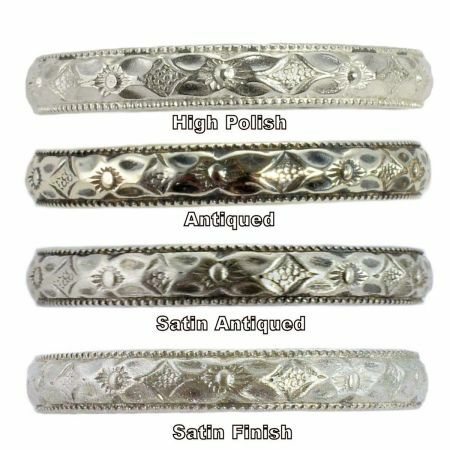 The repeating pattern is intricate with lightly embossed details which are shown with an antiqued finish in main image. 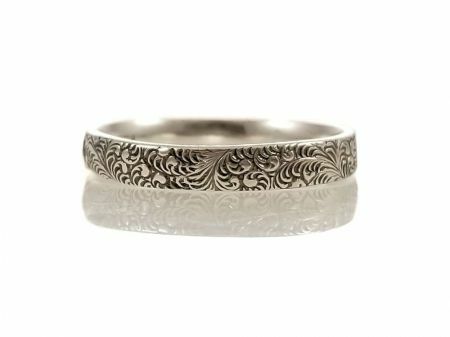 Measurements: Measuring 3.45 to 3.5mm in width by 1.45mm in depth.